This book contains almost 600 unusual and challenging multiple-choice problems designed for the top 35% of pupils aged 11-15. 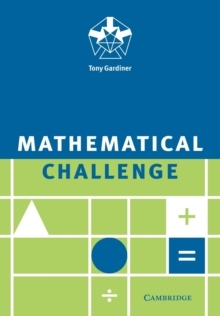 The first part consists of past papers (1988-93) for the annual UK Schools Mathematical Challenge - a one hour, 25 question national event.The second part contains forty-two short papers (10 questions each) in the same style. Each short paper is designed to fill a 30 minute class or homework slot. The problems have a dual goal. They make pupils think and handle information in a genuinely mathematical way, but they are also meant to be fun. This collection of unusual, high quality problems will provide an invaluable resource for all mathematics teachers.